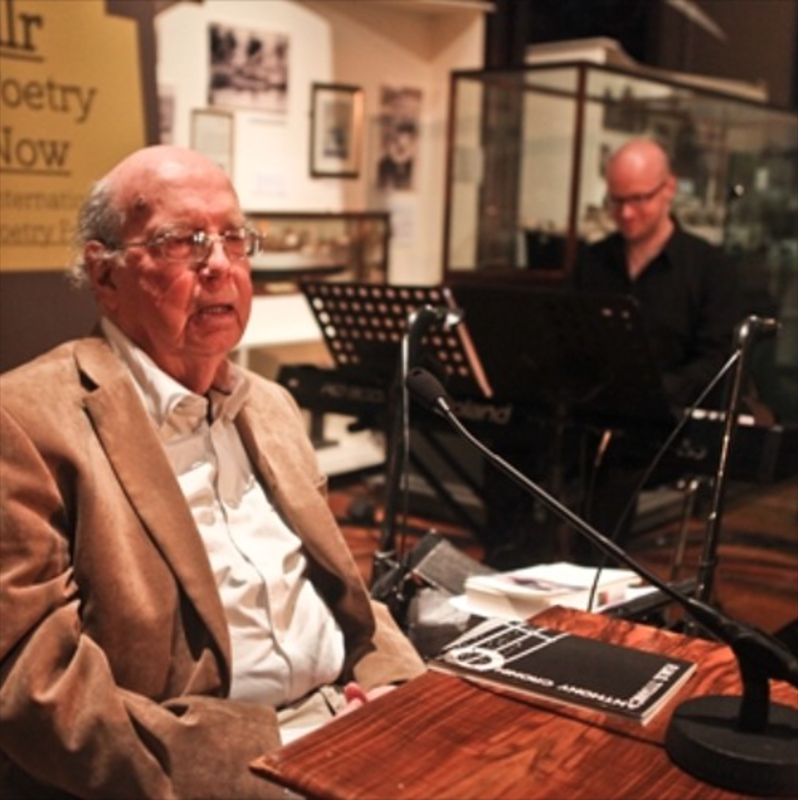 Poet, novelist, critic, journalist, biographer, Anthony Cronin has been a central figure in Irish letters since his first collection of poems was published in 1958. His long poem ‘RMS Titanic’ – which has been described as the best epic poem of the twentieth century – first appeared in print in the magazine X in 1961, long before the present celebrity of the Titanic. 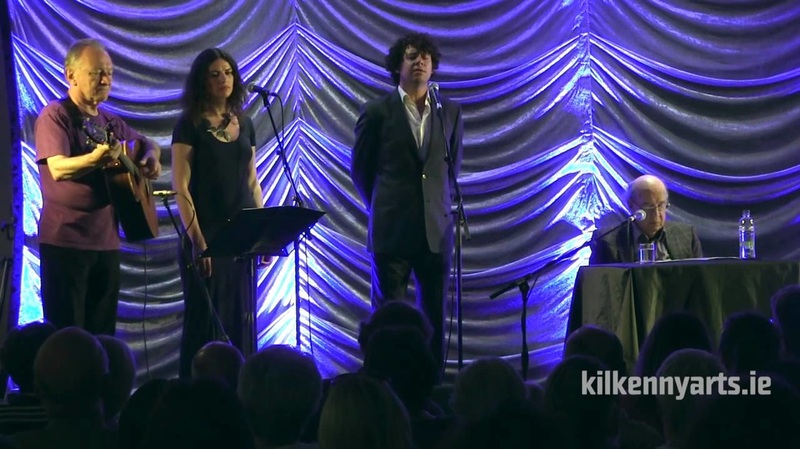 The poem is read by Anthony Cronin and sung by Dónal Lunny and Allison Slater. The music is performed by Graham Henderson and Dónal Lunny. Paul Durcan has described it as “a major work”. And Derek Mahon has spoken of his own generation “recognising immediately that here was something unique and far-reaching”. First published by Cronin in 1961 the poem has been set to music specially composed by Irish traditional musician Donal Lunny. The result is a collaboration which takes us on epic journey through hurt and tragedy. Nowadays it seems like the story of Titanic is everywhere and in the lead up to the centenary of the tragic loss of the ship we’ve seen tasteless items such as Titanic crisps and tea bags which in our opinion lessen the impact of just what this historic shipping tragedy had at the time and afterwards. We swiftly realise that Cronin published his poem into a world where memories of the loss were still sharp and hurtful. Belfast took the loss hard. For many years it was an open wound that never healed and wasn’t talked about. Such was the impact on the working class of Belfast’s shipyard. Inspired by the classic (and the best) film ‘A Night to Remember’ Cronin’s work is detailed and harsh. He describes the Belfast of 1912 with an uncanny accuracy and the ethics of the majority Protestant work force. Hymns on a Sunday precede old men hearing the news breaking over the wireless. Coffins on the water describe the loss of the hopes of the masses while the values of the working class passengers are contrasted by the greed and the selfishness of the first class passengers. 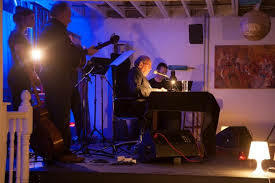 With new musical pieces between the readings Lunny has added a very unique and uncluttered soundtrack to this epic poem. His traditional, yet subtle style of playing guitar and bouzouki augmented by Graham Henderson on keyboards and accompanied by Alison Sleator’s haunting vocals bring out the ghosts of old Belfast to inhabit the art deco surroundings of the Strand Arts Centre and in many ways it’s fitting that it does as the tonight’s venue is no less a theatre of dreams than was the Titanic herself. As we make our way home we see the familiar shapes of Samson and Goliath looming over East Belfast and we quietly reflect on the shattering events that cruelly robbed so many people of their lives, their dreams and their ambitions.